The Security and Privacy for Big Data course of the EIT Digital Professional School is the first in a series of training sessions dedicated to cyber security, part of a professional education portfolio spanning technology-related innovative topics. As the recent Facebook and Cambridge Analytica controversy made clear, even for large social networks, handling customers’ data flawlessly can be quite challenging. And with the upcoming GDPR regulations in the EU, optimising the data management strategy becomes even more critical for companies: the fine for non-compliance can reach up to four percent of worldwide turnover. The soon-to-be-launched Security and Privacy for Big Data course offered by the EIT Digital Professional School will help large, small and medium sized companies to address this issue and avoid any trouble. During the course, which will take place on 11-12 June in Stockholm and on 18-19 June in Brussels, participants will look at significant big data projects with privacy-aware and security-skilled eyes, and will learn how to spot data breaches or data leakage warning signs, and how to take their systems to a grown and sustainable level – all while complying to the GDPR. 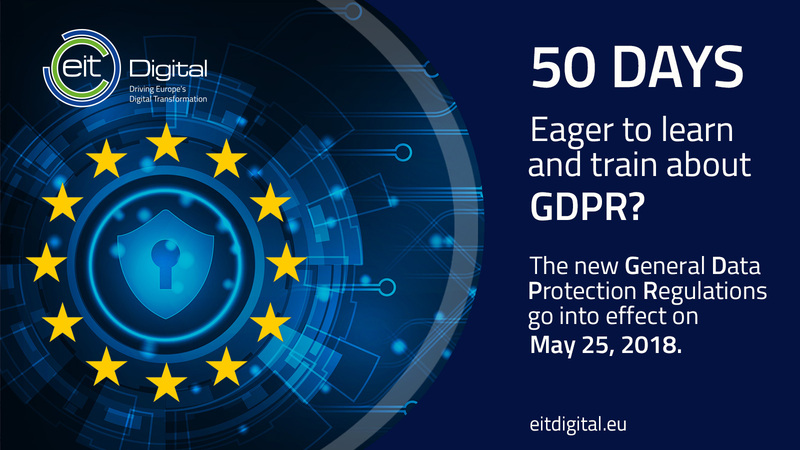 The course is developed by EIT Digital in cooperation with the German Fraunhofer Institute for Secure Information Technology (SIT). It’s targeted at professionals (such as CIOs, CTOs, as well as Product, Program, Project Managers and Data Scientists) who need to successfully manage big data projects, and make sure that all security- and privacy-related issues are under control. "Security and privacy of data are key elements in the digital transformation of twenty first century companies. Understanding its impact and how to optimise it, is a new source of business opportunities," the Head of EIT Digital Professional School, Fabian Pastor, says. The course comes in a blended format, with self-paced online modules for preparation, prior to a two-day face-to-face workshop. The two-day sessions will enable practical interactions amongst participants and researchers in facing concrete business situations. To learn more and subscribe, visit the Security and Privacy for Big Data course page.